Good News for the City! Home/Case Law, Recent News/Good News for the City! Appeal was Heard on 7/18/17 by the The 2nd Appellate District, California Court of Appeals. This was an appeal from a 2014 ruling which found that a tree could be a public work for the purpose of finding a public entity strictly liable for damages in an inverse condemnation case. Mercury filed suit against the City for inverse condemnation and private nuisance alleging that the City was liable for the damages to their insured’s house after a tree fell on it. 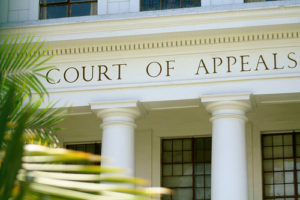 The Appellate court reversed the trial court finding that a tree that is not part of a planned or designed improvement, is NOT a public work for inverse purposes. The ruling still leaves open the possibility that publicly owned and maintained trees could be found to be public works. The question seems to turn on who planted the tree and for what purpose. If a tree is planted by a public entity for a public purpose, such as a street beautification project, it could/probably would be considered a public work for inverse purposes.